These 11 inch stars are hand crafted in the Tiffany copper-foil method. They look gorgeous raining down in a cluster, hung from a bedroom ceiling, or hung individually in a window. These are a special gift for the “shining star” in your life. Each star comes with its own gift tag. 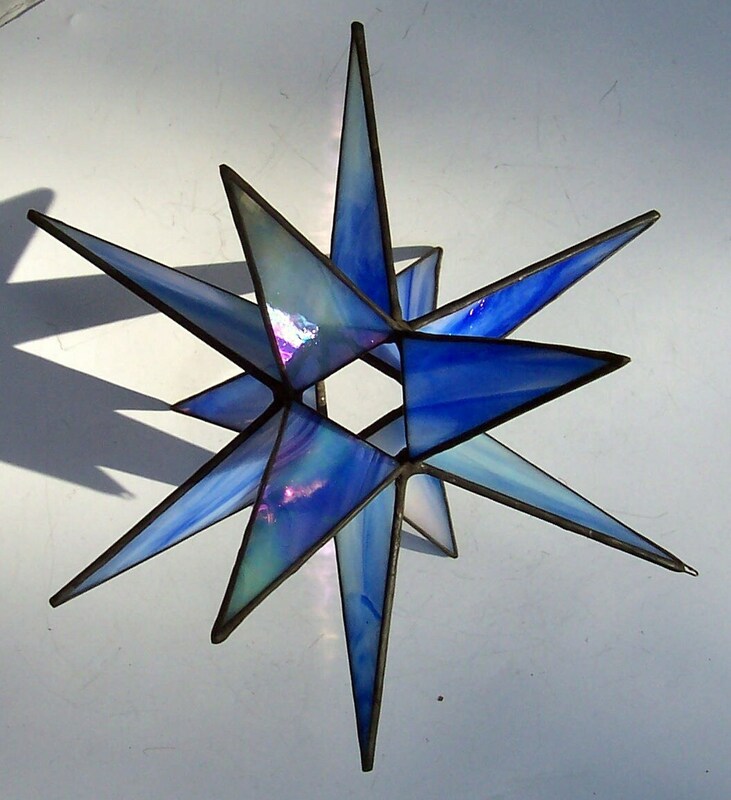 •	Opalescent Glass: This type of glass is the least transparent. Sheets can contain up to five colors that are added to a milk-white base.